It’s great to have a string of love from our backyard, North Carolina. 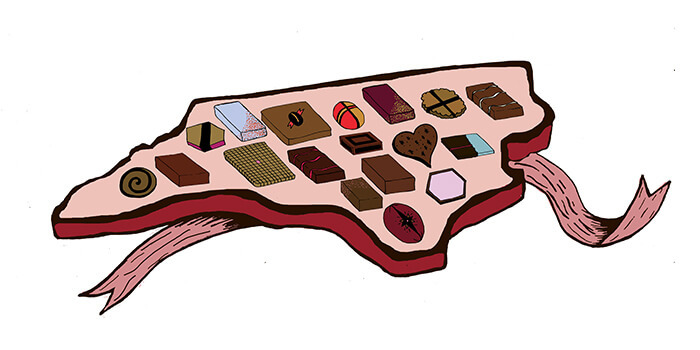 North Carolina Chocolatiers by Our State North Carolina is gaining on a lot of great craft creations…. 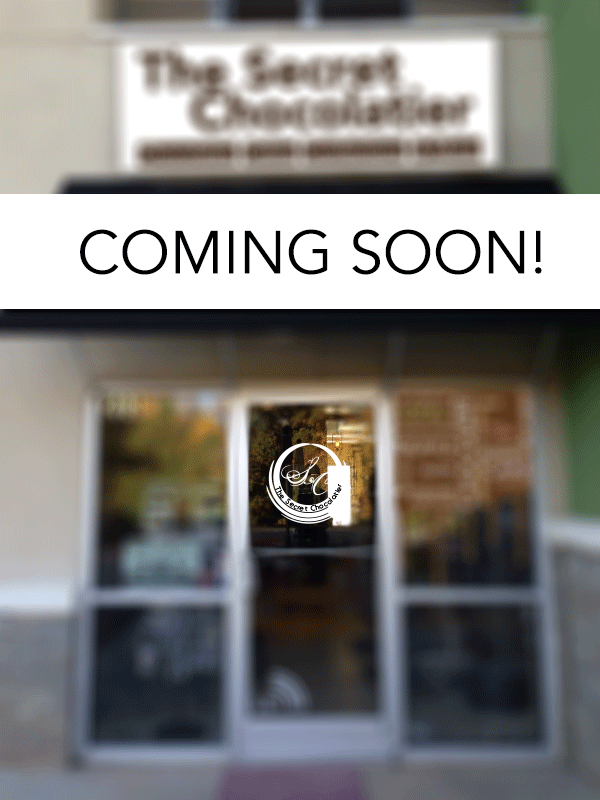 Help The Secret Chocolatier get Best Dessert in Charlotte. Vote for us in the Charlotte Best of Best Awards! 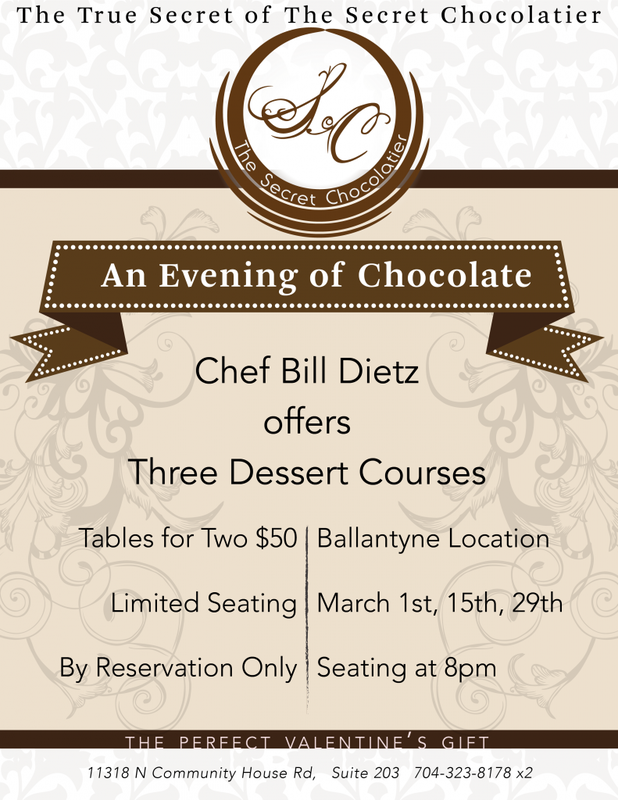 Join Chef Bill for a special event with The Secret Chocolatier. Delicious plated desserts coursed out over the evening. Experience the true secrets of The Secret Chocolatier.